In the vial, concentrated intensive assets reactivators youth. Redensifiants: the Metabiotic and vitamin E, powerful antioxidants and rejuvenating, promotes the production of collagen and elastin preserve. 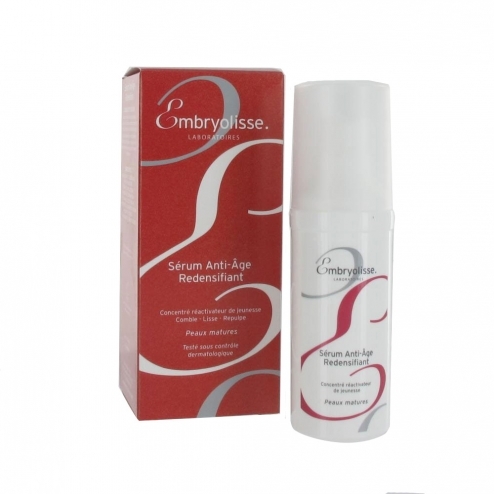 Smoothing and plumping: Hyaluronic acid, at high doses, binds water in the epidermis. The architecture is consolidated skin, skin re-substanc�e she found material and firmness, swelling and rebound. The oval is clearer, fine lines and wrinkles erased mitigated. Lightening: The complexion is brighter and more uniform. That's all that rejuvenates the face day after day. Apply morning and / or evening on face, under your moisturizer on clean, dry skin. Formula INCI: Aqua, Glycerin, octyldodecanol, ethylhexylglycerin, phenoxyethanol, glyceryl polyacrylate, xanthan gum, tocopherol, sclerotum gum, chlorphenesin, disodium EDTA, sodium hyaluronate, perfume, Pichia (reveratrol) extract ferment.